About 16 years ago I was hit by a bus. Quite a few people know about that, but what hardly anyone knows is that up until then I was a serious sweet tooth. I lived on lollies. But after the accident, I couldn’t stand eating anything sweet at all! Now, I much prefer savoury food. For real! Mad mad Maddie. It fits me perfectly. Not having enough time to do all the amazing things I dream of doing, then sitting back and watching my kids fulfill their dreams. Titania (of Midsummer Night's Dream fame). I was born with little points on my ears and a firm belief that I am a fairy child who lost her wings somewhere, so the mantle of queen of the fairies would fit me very nicely, thank you very much! Year 0. To see the world at the very dawn of time would be pretty cool. As would the year 5000. I’ve always wanted to fly and I feel quietly confident that if we take care of the planet, and each other, that incredible dream will be a reality by then! I don’t believe in idols. I find inspiration everywhere but the key is believing in yourself. Like acting, it’s the opportunity to tell stories. Everyone has a story and that story deserves to be told. And offering people an opportunity to live another life through the words you put on the page is all the inspiration I need. Refulgent. The word has the mouth feel of sticky salted caramel, in stark contrast to its meaning being bright, shiny and radiant. What a marvelous contradiction. As an adult reader, The Fountainhead. I read it every few years and it still has the power to compel and inspire. As a child reader, The Magic Faraway Tree. The notion of slipping up the enchanted oak, into myriad worlds of wonder is my idea of nirvana. Madeleine is an actress who starred on Neighbours in 1999. She has since featured in some of Australia's most popular dramas. Her extraordinary career has included lead roles in Underbelly, House Husbands and Satisfaction, and most recently in Zoe Foster Blake’s The Wrong Girl. 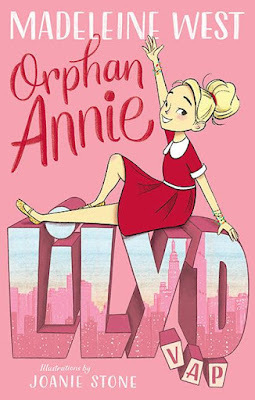 She is also the author of parenting book Six Under Eight, published in 2016. 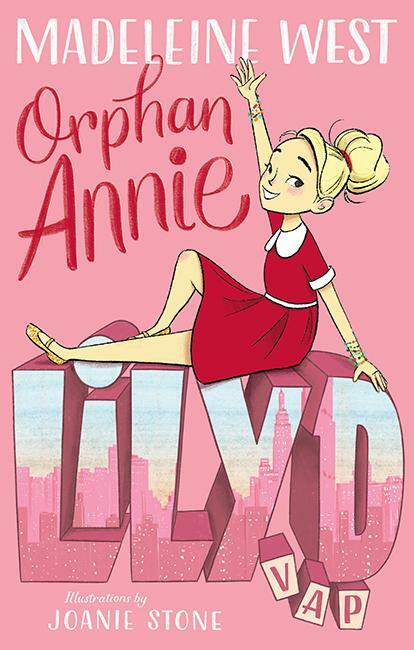 Lily.D, V.A.P is pitched at junior readers hit shelves in May 2018.